Without going into the polemics of this ‘looking’ nor trying to address each and every point, I thought it would be somewhat beneficial to shed some light into this looking and the research presented. I do not have much time as I would have liked to address each and every point however this being said, in Sha Allah each and every point has been already addressed in other research, which will, by the permission of Allah be presented in the future. Let us examine some of these points. The reader should be aware that author or writer will always amend and change his works due to new information or understanding, this is well known amongst those who write, especially those who write and research issues pertaining to rijal and Jarh wa’t Ta’dil etc. When this is the case Shaikh Zubair published the said article in his monthly journal, al-Hadith in February 2006 (issue no.21) and we also know the Tahqiqi Ilmi Maqalat volume 1 was printed in 2010, where the treatise is in (1:417-438), giving the Shaikh a total of 4 years to make any necessary changes, retractions and or clarifications if needed and this is not something which is defective, but rather something praiseworthy and highly encouraged as the truth is always beloved to us. Shaikh Zubair Ali also dates the article in the Ilmi Maqalat (1:438) as 14th Sha’ban 1427H which corresponds to September 2006, which therefore shows amendment after approximately 8 months and it appears this is the amended version that was included in the Ilmi Maqalat. Point being there were amendments in a period of 8 months where as 4 years is a very long time and highly likely and very plausible that contents of any article or book can change. Our rebuttal was published in January 2004, ie 2 years before it appeared in the al-Hadith monthly journal, Shaikh Zubair Rahimahullah provided this paper prior to 2006, which was in manuscript form. It was years later when it was finally published in the magazine and much later in the Ilmi Maqalat. The point here is to illustrate the period when this treatise of Shaikh Zubair was first written to the time it was last published with any amendments. We have shown this period at the very least exceeds 6-7 years and also that it is very common and that any individual can appreciate the possibility and need for correction due to a plethora of reasons. Therefore, the authors words, “This same article was later published in ‘Ilmi Maqalaat (collection of Shaykh Zai’s articles) where he retracted a lot of things he claimed previously (this will be notified during the course of this writing)” have no relevance and should not be given any importance except but to understand the norm of changes over a period of time particularly when it is concerning such intricate sciences of hadith and mustalah. We know as Muslims arrogance and pride are destructive traits which have been severely censured in the Prophetic Ahadith. Shaykh Zubair through his works has shown his retractions and clarifications on possible mistakes or errors he may have made and this is the true sign of scholarship, integrity and trustworthiness. This is not an ayb ie something bad or defective but rather something which should be respected, appreciated and praised. “Therefore, I retract from my previous research and grading and May Allah forgive (me)” (13-12-2005) (al-Hadith; Issue no.21, p.25). This therefore, shows the Shaykhs methodology in referring and retracting back to the truth and this is the Asal of the Sunni, Salafi and Ahl al-Hadith. The terminology used is crass. obtuse and well lets just say following bandwagon trends, with the least of the issue being deplorable, grossly incorrect and outrageously divergent from the truth. It is enough to satisfy any reader that Mu’mmal bin Isma’il is a narrator of other ahadith in the various books of the Sunnah. In fact, Shaykh Zubair Ali Za’i cites every hadith Mu’mmal narrates which shows the reality is totally different from the two reasons inappropriately cited above. Shaykh Zubayr also mentions the other books of hadith and their respective authors who used Mu’ammal ibn Isma’il as a narrator, like Bukhari no.2700, 7083, Tirmidhi no. 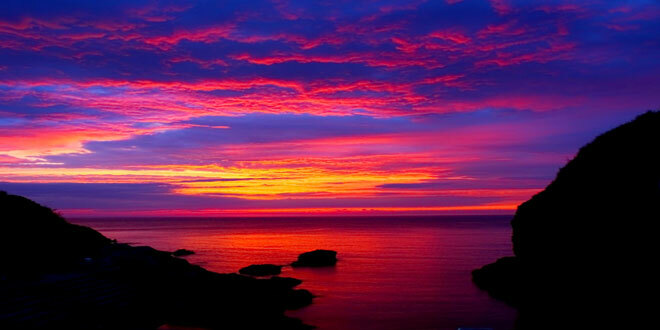 415, 672, 1822, 1948, 2145, 3266, 3525, 3906, 3949, Nasai in al-Sughra no.4097, 4589 and Ibn Majah no.2013, 2919, 3017. Bukhari using Mu’ammal holds great value and importance which is perhaps beyond the scope of this reply but in sha Allah it can be expounded upon later. 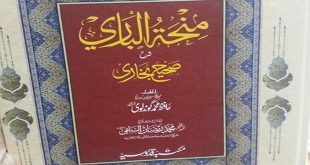 “Shaykh Zubair Ali Zai has special methodology of analyzing conflicting statements of Jarh and Ta’deel. He counts the number of criticism and praise, and rejects the minority based on majority. This seems good, but this was not the methodology of scholars of hadith, not even single of them. Rather they would prefer explained Jarh over general Tautheeq, and reject unexplained Jarh against established Ta’deel. It is well known to the beginner student of knowledge that an author is likely at times to use general or mujmal phrases with the mindset the reader is perhaps familiar with the sciences of hadith since he is reading such issues which revolve around these detailed sciences. It is also known to such elementary students that an author will also sometimes explain his general statements with a more detailed and comprehensive explanation whereas sometimes he will leave his statement general. So for a third party to clutch onto the general statements of an author and ignore his multitude of detailed statements, is in serious need of improvement to present such research. 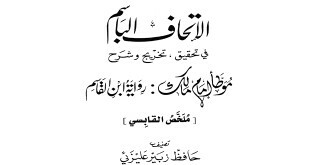 It will also be very lengthy to present all of the detailed statements of Shaykh Zubair in this regard who emphatically holds on to and utilizes the methodology of the Scholars of Hadith in investigating, verifying and grading ahadith and he most certainly did not employ a new or special methodology as the author asserts. Shaykh al-Islam Ibn Taymiyyah al-Harrani (d.728H) said, “So when the people of jurisprudence unanimously agree on a statement then is not except but considered the truth and if the Ahl al-Hadith unanimously agree in the authentication of hadith then it is not considered except but the truth.” (Majmu’a Fatawa 1:9-10). So we find accepting a hadith unanimously agreed upon is not an issue of ijtihad but rather the ijma is to be followed. The Second type: The ahadith which are differed over, whether they are authentic or weak, then in such affairs giving precedence to the view of the majority is an issue of ijtihad. One must remember is incumbent to act upon whatever principle is adopted otherwise contradiction in statement and action is hypocritical. so we find the narrator who is considered to be disparaged by the majority of the scholars of hadith is also considered to be disparaged according to the later scholars. The authentication and weakening of hadith is an issue of ijtihad. However, this does not mean hanafi’s grade hadith they require to be authentic and render other hadith to be weak. Therefore, it is preferable to give precedence to the position and view of the majority of the scholar of hadith (al-Hadith Issue no.10, Muharram 1426H/March 2005, p.18-19, Fatawa ilmiyyah al-ma’ruf tawdih al-ahkam 2:293-295) End of Shaykh Zubair’s words. This book is very beneficial and filled with principles pertaining to the science of Jarh wa’t ta’dil and thus the avid reader is recommended to refer to it. So we find some of the scholars from the mutaqadimin generally used the idea of majority for either praise or agreement and even criticism and Shaykh Zubair was not the only one and there are many example of this in the books on the science of hadith and narrators. This seems good, but this was not the methodology of scholars of hadith, not even single of them. Rather they would prefer explained Jarh over general Tautheeq, and reject unexplained Jarh against established Ta’deel. Again this is poor understanding of Shaykh Zubair’s methodology and highly incorrect to present it in this way. Everyone is agreed on the principle of detailed criticism takes precedence over general praise and no one differs with this especially Shaykh Zubair as we will show. Shaikh Zubair’s presented this approach only when there were statements of praise and criticism and neither were detailed or specific and it was thus difficult to ascertain the reliability of the narrator. Moreover, Imam Khatib al-Baghdadi was of the view only one critic is required to disparage a narrator. (Khatib al-Baghdadi, al-Kifayah fi ilm al-riwayah (Cairo, 1988) 84). This is incorrect and the scholars of hadith were not of this view, in fact this view is very unique and exclusive to the one who said it. So the authors statement, “but this was not the methodology of scholars of hadith, not even single of them. Rather they would prefer explained Jarh over general Tautheeq, and reject unexplained Jarh against established Ta’deel.” Should also be applied to Hafiz Ibn Abdul Barr, Imam Ibn Kathir and others and we are sure such examples clearly illustrate our point. Ibn Kathir goes onto ask a rhetorical question, is this (detailed criticism) given precedence? Or alternatively is the majority view given precedence (over the minority view) or those who are specialists and experts in this field? He answers it himself and says that there is a well known difference of opinion in Usul al-fiqh, issues of fiqh and in the science of hadith and Allah knows best. Then he says, “The statement of a single person whether criticism or praise is sufficient.” (Ibn Kathir, Ikhtisar ulum al-hadith with al-Sai’i al-hathith, 305). Shaikh Muhammad Dhiya al-Rehman al-A’zami discusses this issue whilst citing the chapter heading, “If a person has criticism and praise, which one is given precedence.” He then goes onto cite three main views. (1) criticism takes precedence over praise, (2) Praise takes precedence over criticism and (3) To give precedence to the position that achieves greater clarity. Then he goes onto cite the statements of the early pious ancestors explaining and evidencing each view. He then brings another chapter titled, “Not every criticism takes precedence over praise.” And then the Shaykh evidences this. Such discussions and points add further information and clarity on these issues, especially for the avid reader and student of the discipline. (Muhammad Dhiya al-Rehman al-A’zami, Darasat fi jarh wa’t ta’dil (Varansi: Jamia Salafiyyah, 1403H/1983) 203-207).